Each section includes wiring diagrams. Switches are shown in wiring diagrams as if the vehicle is in the “normal” condition. A vehicle is in the “normal” condition when: • ignition switch is “OFF”, • doors, hood and trunk lid/back door are closed, • pedals are not depressed, and • parking brake is released. The continuity of multiple switch is described in two ways as shown below. 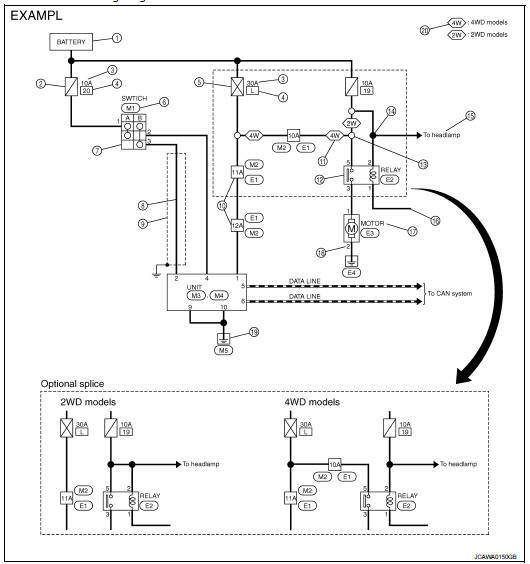 • The switch chart is used in schematic diagrams. 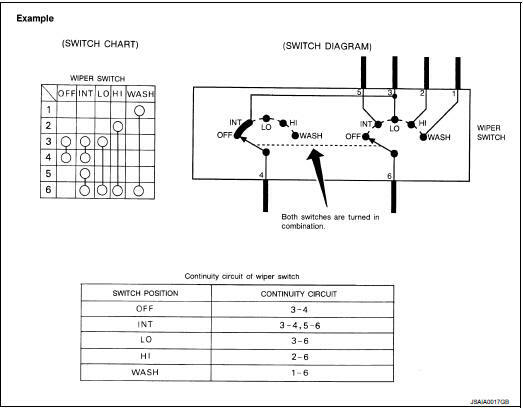 • The switch diagram is used in wiring diagrams.